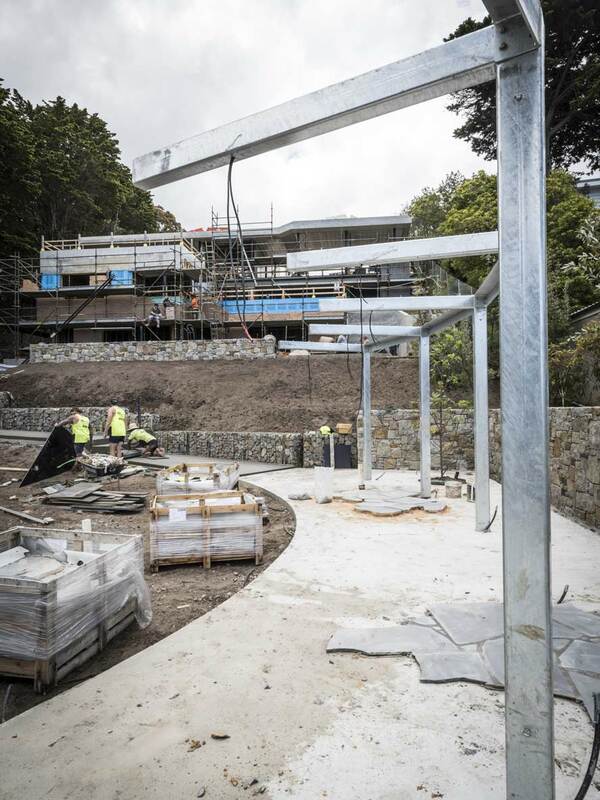 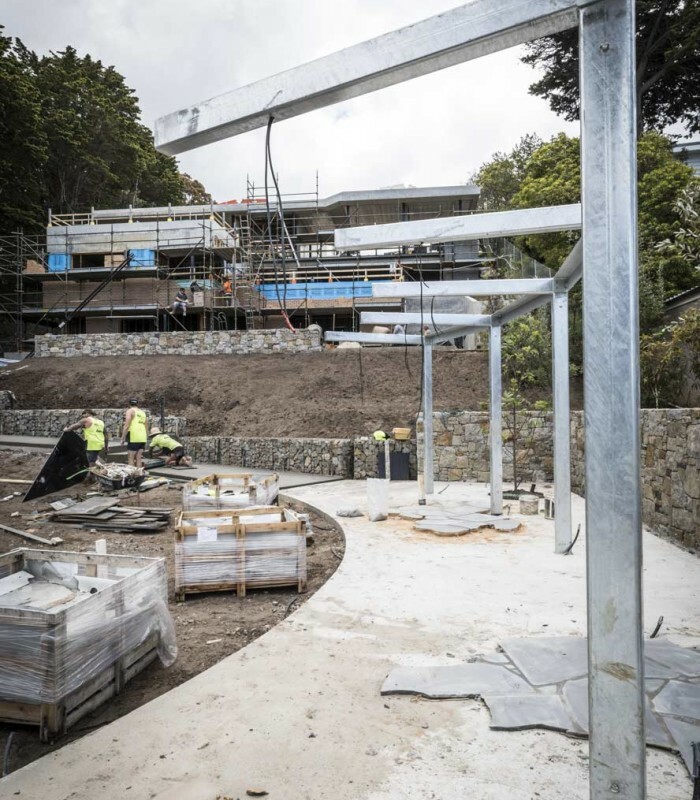 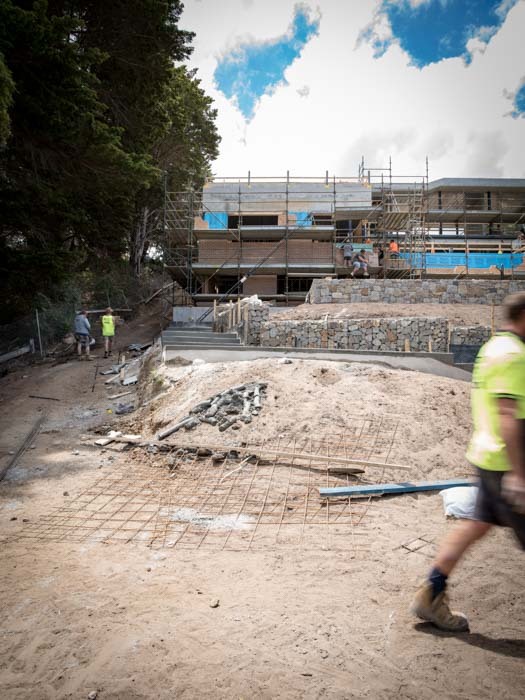 The profile of the site at Somers challenged the construction of the residence and the landscaping works. 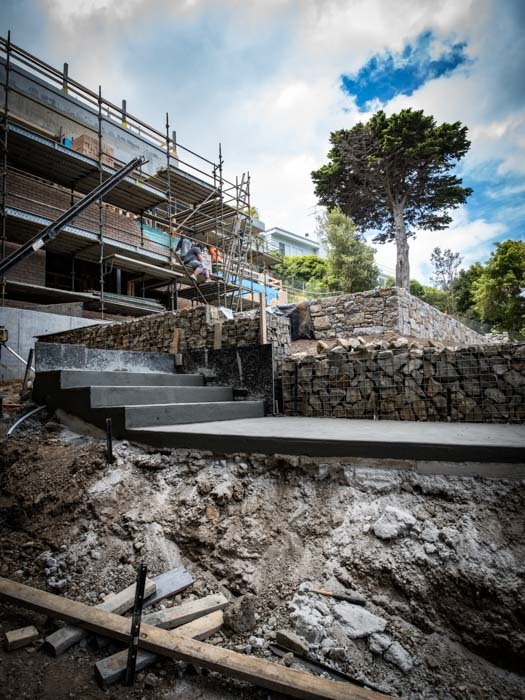 The three-storey insitu concrete house was constructed on the steep slope, with rock-walling forming terraces between the landscaping which leads down to the water. The façade of the house is finished with Dolomite cladding and feature glazing to hero the view across Westernport Bay. 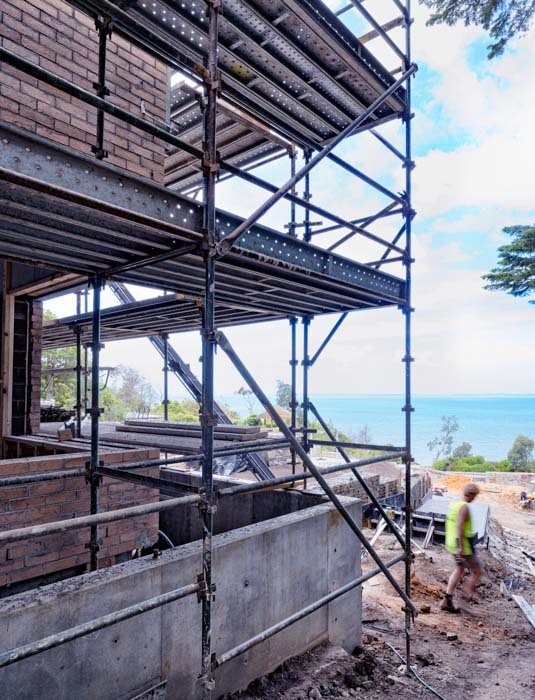 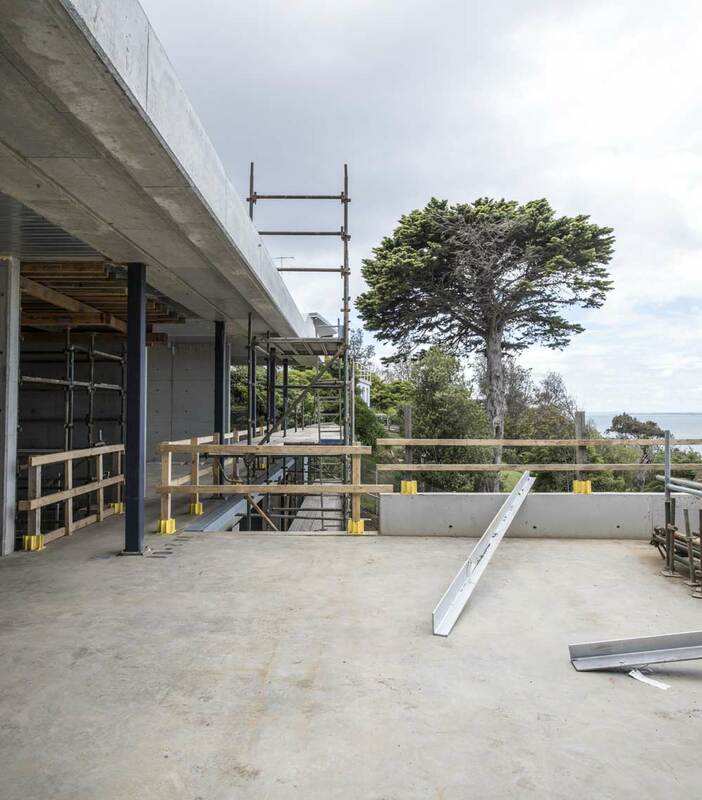 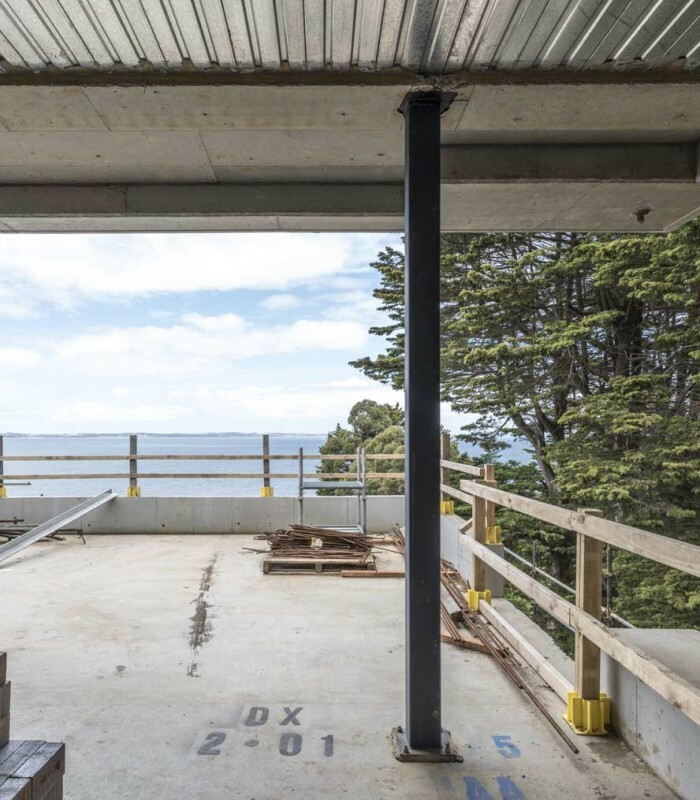 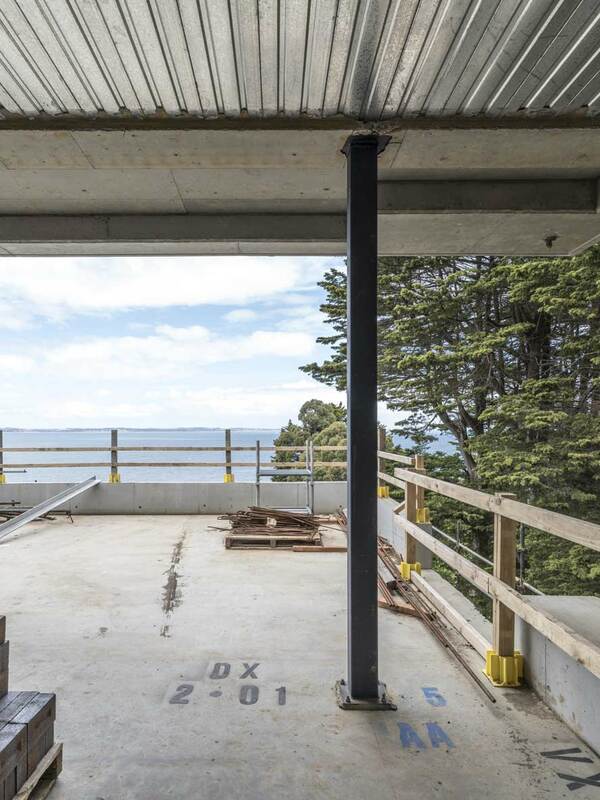 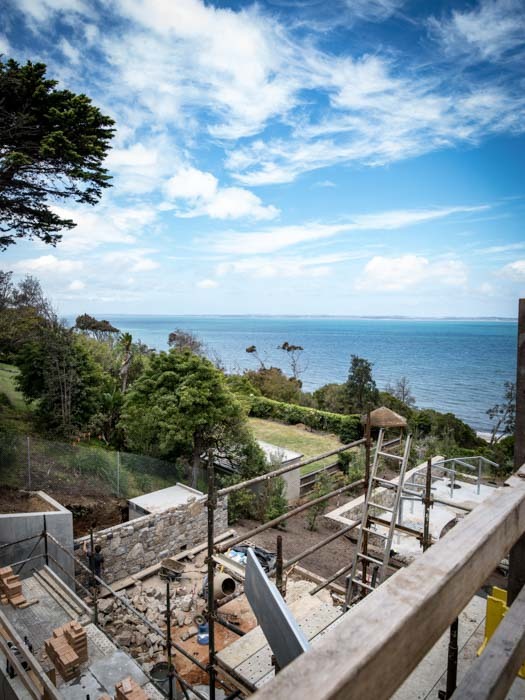 From the access road only the off-form concrete roof of the residence is visible, with the view to the bay and Philip Island maintained for passers by.